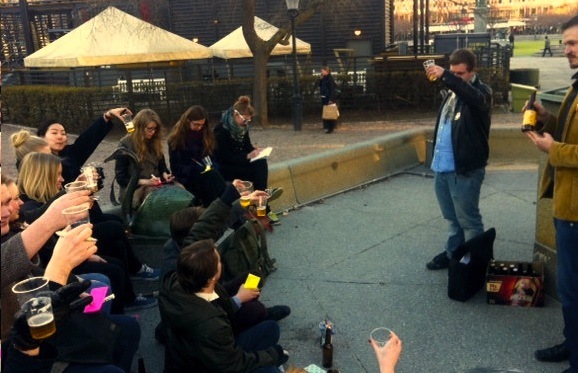 On a sunny March evening 12 brave teams from the University of Helsinki with budding business ideas ideas sailed across the sea to the west to turn their ideas into action. Some were just ideas, some had years of research behind them. But one thing was common: the will to make them work and make an impact to the world. Five days later the tired bunch docked back to Helsinki. This is what happened in the days in between. One of the most important assets of an entrepreneur is other people who advise and help out with their skills and contacts – and support with their empathy when things get rough. So, getting to know the fellow campers of the Tieteestä toimintaa [Academic Action] bootcamp was our number one task. But it takes more than a name and study background to know a person. Little by little we opened ourselves up moving from childhood dream professions to sharing present ambitions. The wannabe trash truck driver now wanted to build something to stand behind, a ballerina lead people to do things that matter. The next step was to share our skills which meant transforming the ferry nightclub into DIY School. Every camper had to give a 10 minute lesson of something they feel passionate about, do as a hobby or are just learning themselves. Lessons from gene technology to haiku writing and four square tango filled up the impressive curriculum. It gave an inspiring insight to each others’ personalities. No wonder the night ended up in everyone singing karaoke one after another – the ultimate proof of trust! An impact investor and business developer Shawn Westcott waited us at Entreprenörskyrkan to lead us to startupper’s thinking and tools. 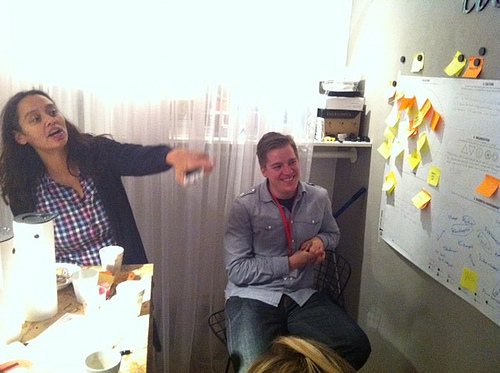 Hair was pulled and eyebrows frowned when the teams turned ideas into business models with the help of lean canvases. It was a tough job to figure out who are the customers, how we measure we are doing the right thing, how we collect revenue, what is our unfair advantage to make this happen better than anyone else… “My brain hurts”, Elina from Helsinki Think Company sighed in the end of the workshop. After the sweat (and also smiles) Shawn put us through, Restaurang Volt! soothed our souls with amazing food and taught as a lesson on quality and relentless entrepreneurship. 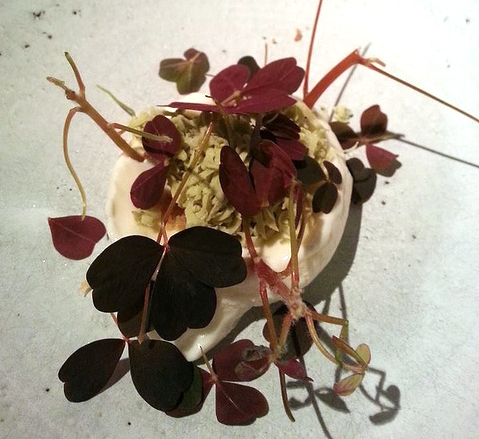 “I didn’t know that food can send shivers down your spine!”, said Oskari from Kiitti team after dinner. Indie Pale Games, Kiesus, Terveyskollaasi and Kiitti visited Candy Crush creator King. Rule number 1 of the entrepreneur: Get out of the building and talk to customers, build networks and learn from others. It was time to meet those who’ve done it before and get feedback. But this time it was not a ready-made table: the campers had been given the somewhat scary task of contacting organisations valuable from the point of view of their ideas. The effort paid off as an exciting list of visits including companies like Learnways, King, Snask and Important looking pirates. “He sat with us for two hours sharing his experiences and giving each of us feedback on our ideas!”, marveled Mari from Kiesus learning team after the meeting with Nils Carlberg of Learnways, an award-winning developer of e-learning solutions. 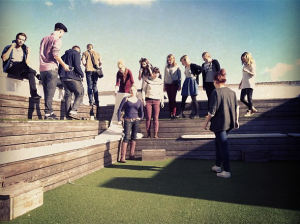 The visits taught us many lessons on many things from branding to the importance of the organisational culture. Even a misunderstanding led to an important revelation. 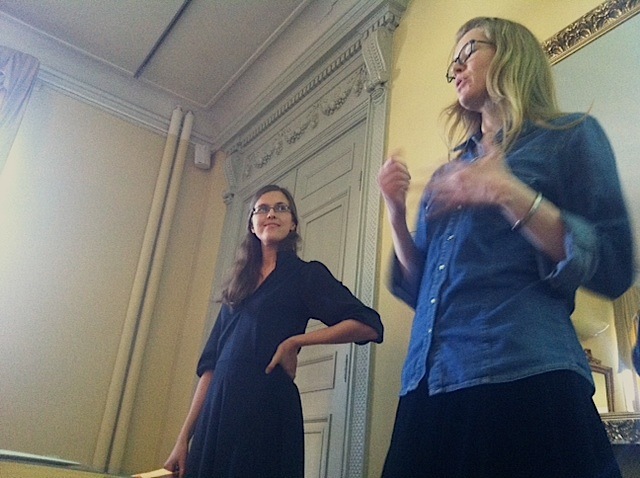 Outi and Elina discuss with ePuddle at the start up clinic held at Beta. In between the meetings the camp leaders, Outi, Jone, Antti and Elina, ran a Startup Clinic discussing mind-puzzling questions and next steps of each team. 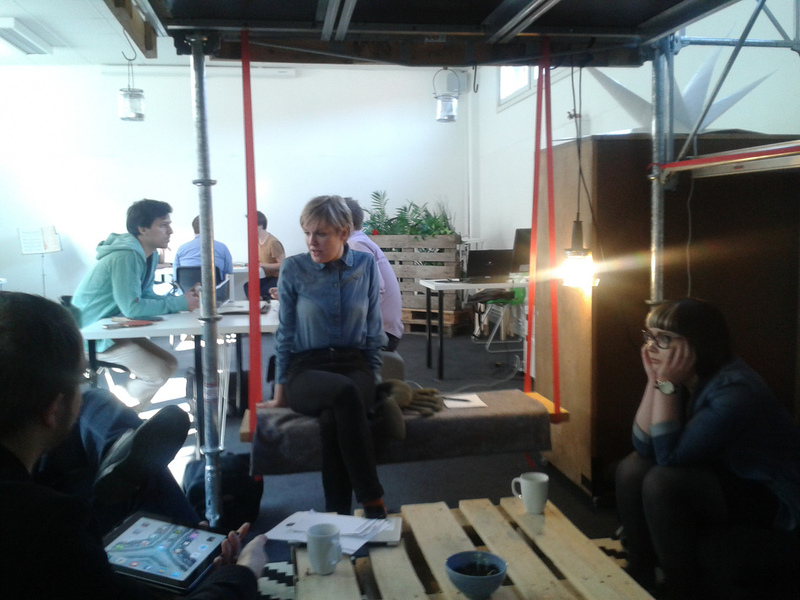 The space for the clinic was offered by Beta, “Helsinki Think Company” of Stockholm School of entrepreneurship. Beta charmed us with its warm atmosphere, DIY looks and the most hospitable host Jordan Lane. Beta offers a space for entrepreneurial spirits and puts a lot of effort in building a community of them. DAY 4: But hey, is it valuable to the world? 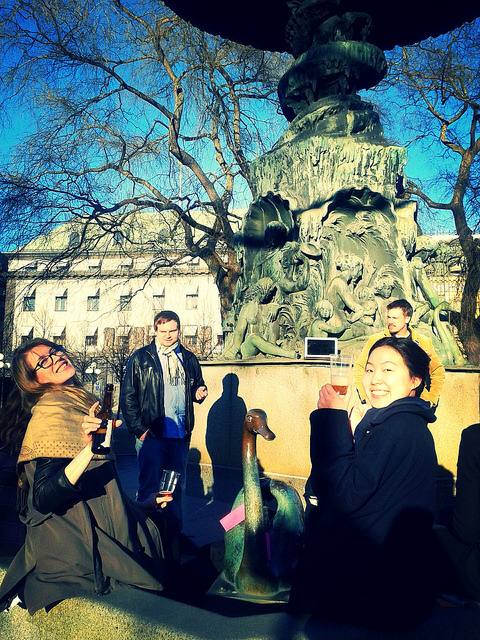 The minimum viable product version of Beeb’s educational services was an intro course into the world of beer organised in an empty fountain in a Kungsträdgård park. Here studying the colour of the beer. 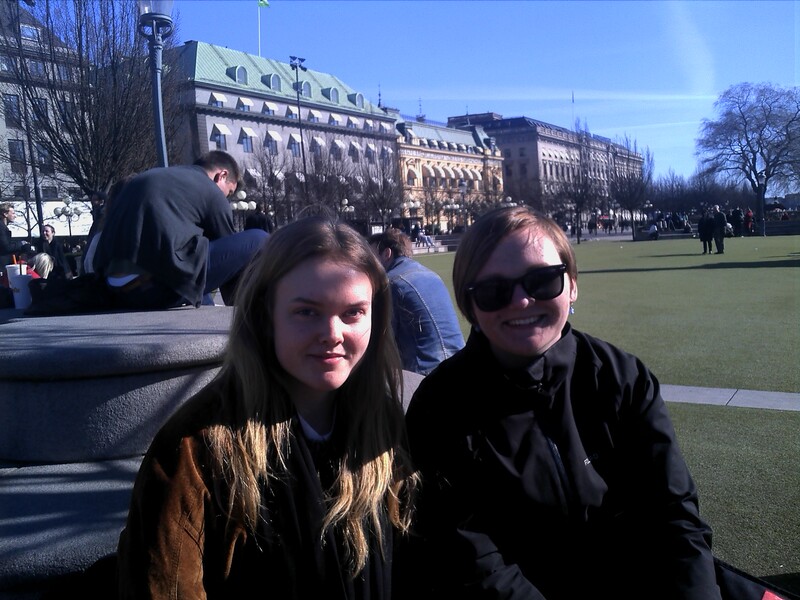 Joni from QRE team interviewed Jenni and Ilma on solar energy. When filling in business model canvases and planning our perfect solution, we say it all the time what people are like and what they need. But those statements are mere assumptions. To figure out who is there in the “customer segment” box of the canvas or what is the problem they have, we need to get out of the building, again (this time out of the Sup46 – Start up People of Sweden space), and get to know the world. The day for was the day of The Amazing Etnographic Race. 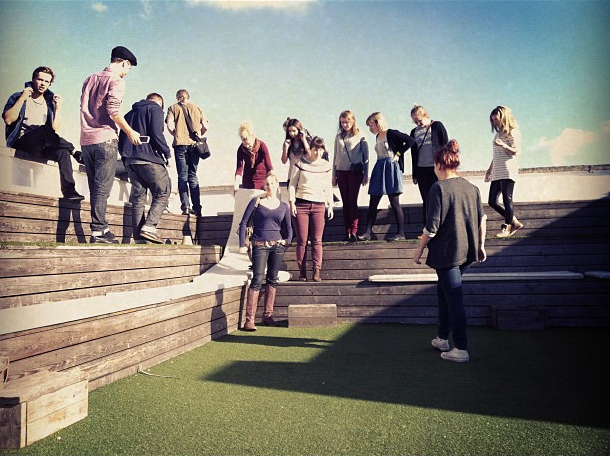 After rapid intro to etnographic methods, the teams were thrown out into the streets of Stockholm to explore potential users’ mindsets and needs by interviewing and observing and to study situations and places where their services could be used. ePuddle was one of the big winners of the Amazing Etnographic when it comes to its input into the concept development. The day before they had been started to reconsider their whole concept. The insight from the race got them convinced: No more comprehensive web-based language learning network but a survival app for everyday language problems. Congratulations for the ePuddle to have the courage to kill their darlings and take in the learnings! But to really to understand how our solution fills out people’s and world’s needs, we need to put our product or service out there, let people use it and learn from it. “But we can’t! We are not ready yet! We still need to figure things out, and plan and build it, and we don’t have money, nor experience, nor time, to do it yet!” So not true. You can always, always, build a product in a day or a week (or in an hour, like the campers) and have a go in the world, gather feedback and learn what works and what not. That product is called the minimum viable product. For the last part of the day’s workshop, we set ourselves to design “MVPs”. The argument of the minimum viable products was proved right as one of them got tested right after the day’s workshop. BëëB (Beer Experiences & Education on Brewing) team dreams of their own microbrewery pub where they will arrange educational and fun events that change the beer culture. But it will take a while (and money) before those pub doors can open. So that sunny Friday an empty fountain in Kungsholmträdgård park acted as a test bed for BëëB’s services. With an impressive expertise the BëëB boys took us to a fascinating journey to the history of beer, to the amazing diversity of beer types and the secrets of their brewing, to the beautiful colours of the drink and to meticulous designs of the bottles by proud microbreweries. Few of us knew that beer can taste like chocolate or marzipan! Even the non-beer drinkers found out they can like beer! The customers were excited and the BëëB got valuable feedback of their service and even a few pre-orders! That Friday must have had more than 24 hours. ‘Pitch’ could be a buzzword of the moment but the good thing about a pitch is that it makes you put everything together into a whole that has a beginning and an end. It is a prototype of your company, really. The week in Stockholm had been so intensive and busy that it was quite fuzzy both to the campers and its leaders where had we got to. At Saturday noon, nervous teams gathered to show it. The jury was formed of the fellow campers that were to give feedback and choose the winners in two categories: “the best pitch” and “the biggest leap”. 5 minute pitches revealed ideas turned upside down, new names, surprise team coalitions and confident steps forward. It was amazing how much the teams had evolved during the (too) short week. “I was impressed of the no-nonsense attitude of the teams. They are comfortable in combining a mission with business”, said the guest judge Liisa Karttunen after the pitches. It was time to raise the glass of bubbly. And run for the ferry. So first things first: What’s up with the karaoke in Viking M/S Mariella? Nothing wrong with the karaoke per se but It ends at 22:00. Karaoke is the best thing in the universe so it’s kind of problematic. Luckily the innovative spirit of the camp didn’t die as we set to the sea: the cabin 337 was turned into a pop-up karaoke. P.S. 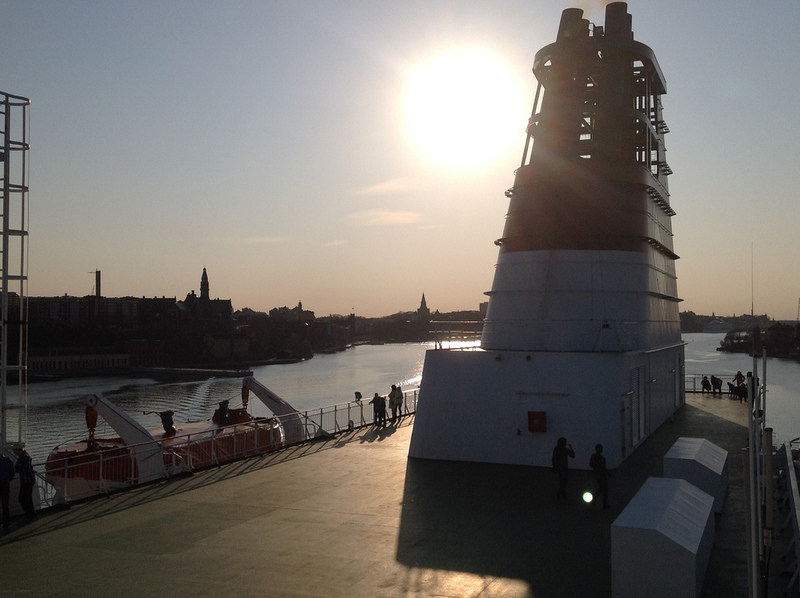 Stockholm was only a beginning, Academic Action Bootcamp did not stop here. Next up is Friday Fun Day, you are very welcome to join. And in May we pitch again. This time in public. Yay. What an awesome week it was in Stockholm. Where to even begin with? Academic Action Bootcamp gave our team, BëëB (Beer Experiences & Education on Brewing), a bunch of new experiences, friends and, most importantly, a lot of inspiration to go out there and finally change the world of beer culture. Even though we still don’t have a completely clear vision of what it is that we are doing, we however now know where to start chasing the dream. Besides we even got some pre-pre order deals made. Whoohoo! Our minimum viable product: an intro course to the world of beer in Kungsholmträdgård to fellow campers. Here studying colour of the beer. This is basically a list of things that we’ve been passing around and learned during last week. So here we go! We learned that inner branding means that you need to brand yourself and your business from within, not from outside. The concept of lying can help out sometimes – fake it till you make it. We gained a lot of experience and confidence on public speaking. We received a lot of important feedback on our demo (see the picture), which is great. We might even use some in our marketing. 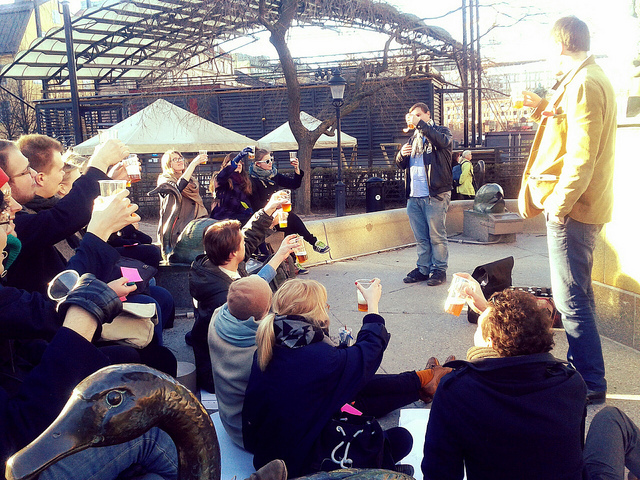 We got some huge ideas how to make tasting experiences more fun and interesting to people who do not love beer (yet). We set a new target for our business. We defined our problem and minimum viable product. And finally our business has now a clear path of developing stages planned. We are walking the path step by step towards complete Funship. That is where our customers will enjoy what we do as much as we do, and we will have total freedom to brew and serve the kind of beer we love. Let’s go BëëB! Stay tuned. 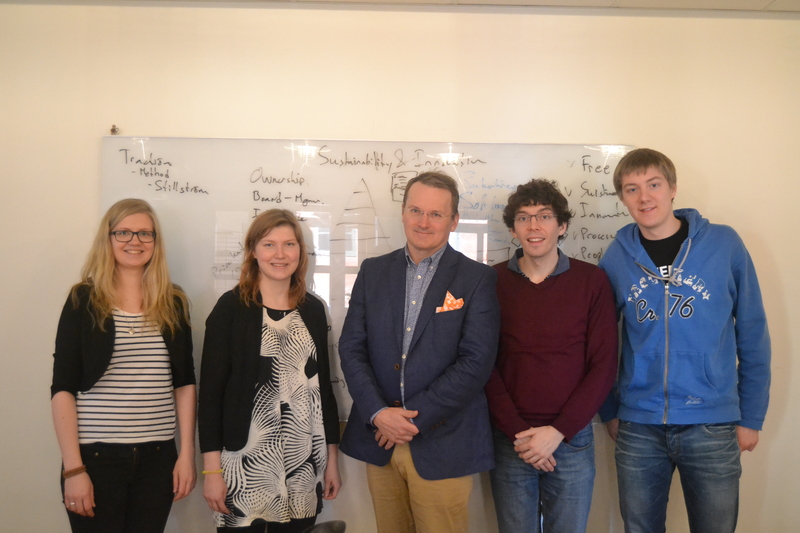 Our team is developing Kiitti.fi, an online peer-learning and problem-solving tool for students to make learning easier. With our web app you never have to be alone with your problem. It’s like Stack Overflow for universities! Kiitti.fi online learning tool will make learning easier for you. Stay tuned for beta test in Fall 2014! 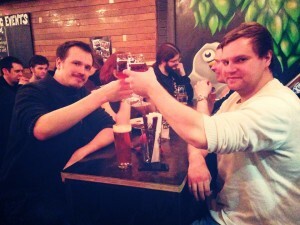 We visited Learnways with Indie Pale Games, Kiesus learning and Animat teams on Academic Action Bootcamp in Stockholm. 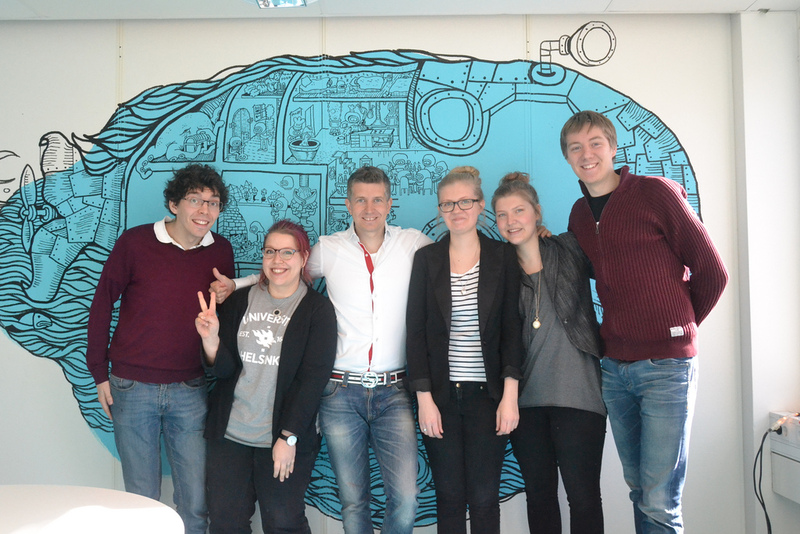 We had truly insightful meeting with Nils Carlberg who’s the company’s sales director. He was fantastic and within first five minutes he was telling stories about his kids and visits at a summer cottage at Mäntyharju and listing words and phrases in Finnish he had learned. Everyone at the Learnways were so snälla! We had coffee and freshly baked buns we had brought from a bakery near by and discussed about the company’s values, way of working, customers and projects. Oh boy, those projects were so awesome! They really deliver the message with passion and quality. It’s efficient, emotional, pretty, informative and that sound atmosphere in their videos was epic! We talked for two hours whereas at least I was prepared for short 20min company preview. He was genuinely interested in our ideas and provided valuable insights and advice based on solid experience. For the rest of the meeting I was just concentrating to this whole new aspect in our business model. What if the students solved the companies’ problems in addition to their own? The companies could benefit greatly from the big academic community whereas the students and universities could actually make profit instead of paying for the service. And we would get our share in between. People have told me tens of times that universities do not have the money to buy our application even if it would be very beneficial for them. The competition of money in academia is fierce nowadays. This new aspect actually transforms this issue into an opportunity. Who knows, maybe this could be a new way for universities to receive more funding…? P.S. Nils’s advice: Never go for the “dirty money” (=investors, soft loans, subsidies, grants) unless you really have to. They have their own agenda and they try to steer your company towards their own goals. The best way to fund your business is the customers’ money! 25th of March a bunch of students from the University of Helsinki boards on a ferry and crosses the sea to explore academic entrepreneurship. You should be one of the bunch. Academic Action Bootcamp is both a coaching programme for budding business ideas and an opportunity to get to know other students interested in changing the world and to connect with other builders of new kind of entrepreneurship culture in Europe. You will take part in shaping the trip programme yourself. The previous Bootcamp in autumn 2012 had participants from different faculties and majors. 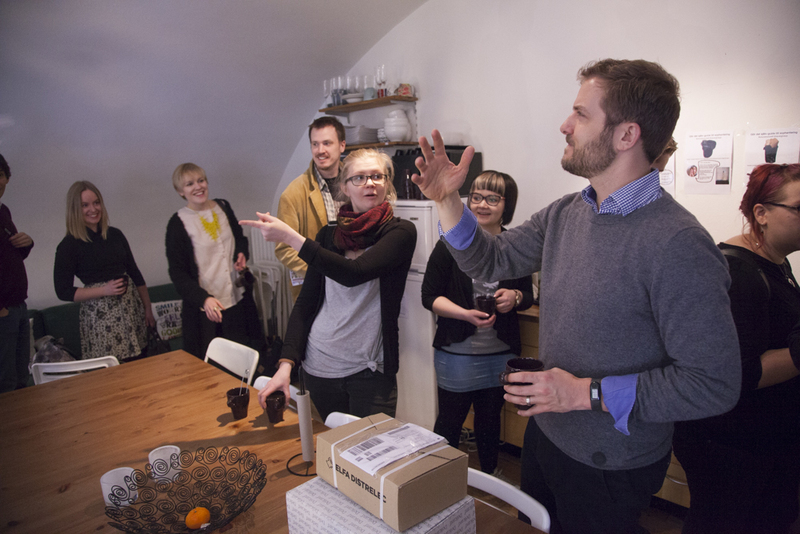 It resulted in 7 entrepreneur teams: Avanto, DIY Helsinki Showroom, Huhu, Itäkomppania, Kaskas Media, Torstai and Yhteismaa. In addition to developed business concepts, the boot generated a lot discoveries. Read how a sociologist discovered the link between anarchy and entrepreneurship. Apply by telling why you want to join in and describing your budding idea with a few sentences. Your idea can be just a vague start or something you’ve been working on for a while. Read more about the bootcamp and apply by 17 February by filling in the application. Helsingin yliopisto tarttuu tutkimuksellaan ja opetuksellaan maailman haasteisiin: muuttuva ympäristö, puhdas vesi, ajatteleva ja oppiva ihminen, globalisaatio ja yhteiskunnan muutos, hyvinvointi ja turvallisuus ovat esimerkkejä Helsingin yliopiston painoaloista. 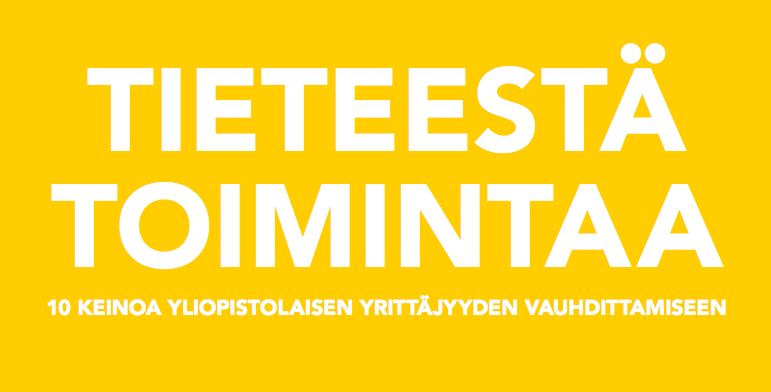 Näitä ja muita monimutkaisia haasteita ei voida ratkaista vain tutkimusta ja opetusta parantamalla tai perinteisen politiikan keinoin. Tarvitaan myös uusia yrityksiä, jotka osaavat orientoitua tieteen antaman kuvan mukaan viheliäisimpien ongelmien ratkaisemiseen.